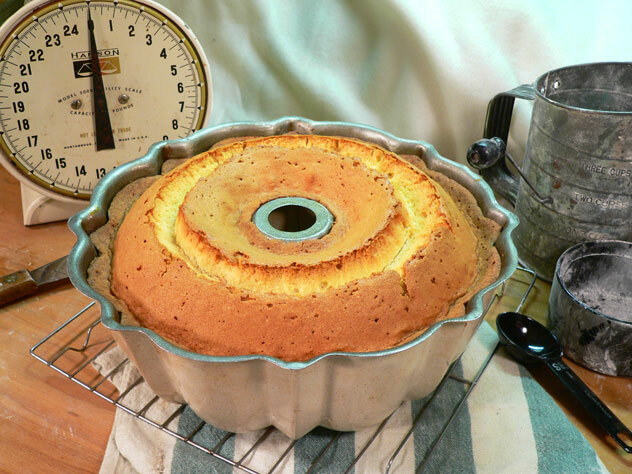 Set the cake on a wire rack and let it cool for 20 minutes before you try to remove it from the pan. As you can see, it rose a good bit once it baked. Don’t you just love that “crack” that runs around the entire cake. This is normal and expected. It would have looked great in a loaf pan too. Now, will it come OUT of the pan OK?